Coat six squares of foil with cooking spray, lay one tortilla on each. 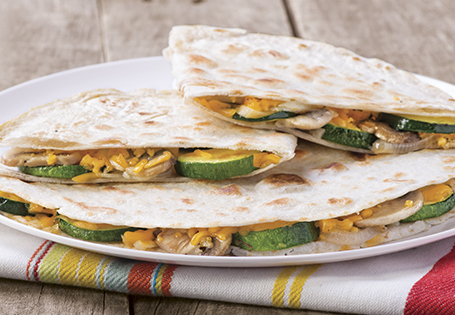 Place ½ cup cheese and ¼ vegetable mixture on one half of the tortilla; fold in half. Seal the foil around the quesadilla. Keep chilled for any camping trip!